A dubious distinction for a parched Sonoran Desert. For the first time in recorded history, Tucson did not receive measurable rainfall during spring. Only a trace of rain was recorded at Tucson International Airport. This means rain did occur at the airport site, but failed to measure to at least 0.01″. 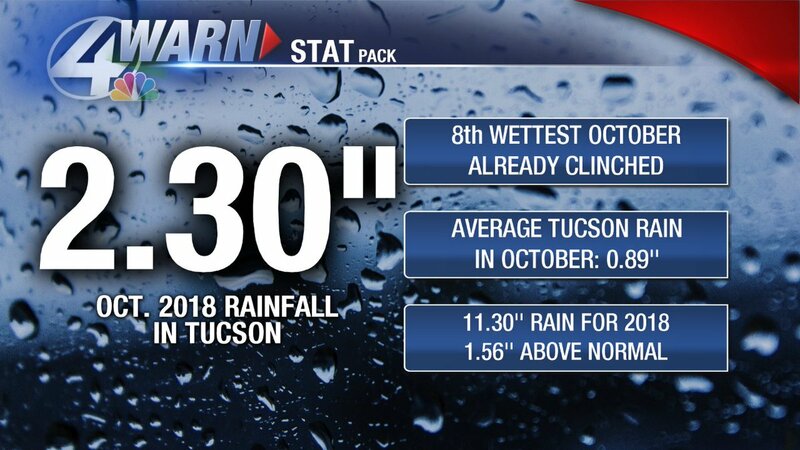 The last time Tucson picked up measurable rainfall was on the final day of meteorological winter, when 0.20″ fell on February 28th. 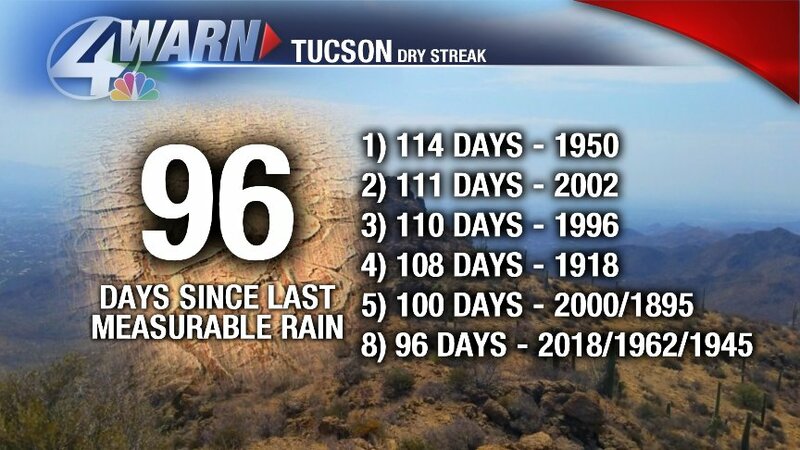 Counting June 4th, the Old Pueblo has gone 96 straight days without measurable rainfall. This is the 8th longest dry spell ever recorded for the city, matching stretches in 1962 and 1945. Official weather record keeping for Tucson began in 1895. According to the National Weather Service, spring 2018 was the 4th warmest on record. 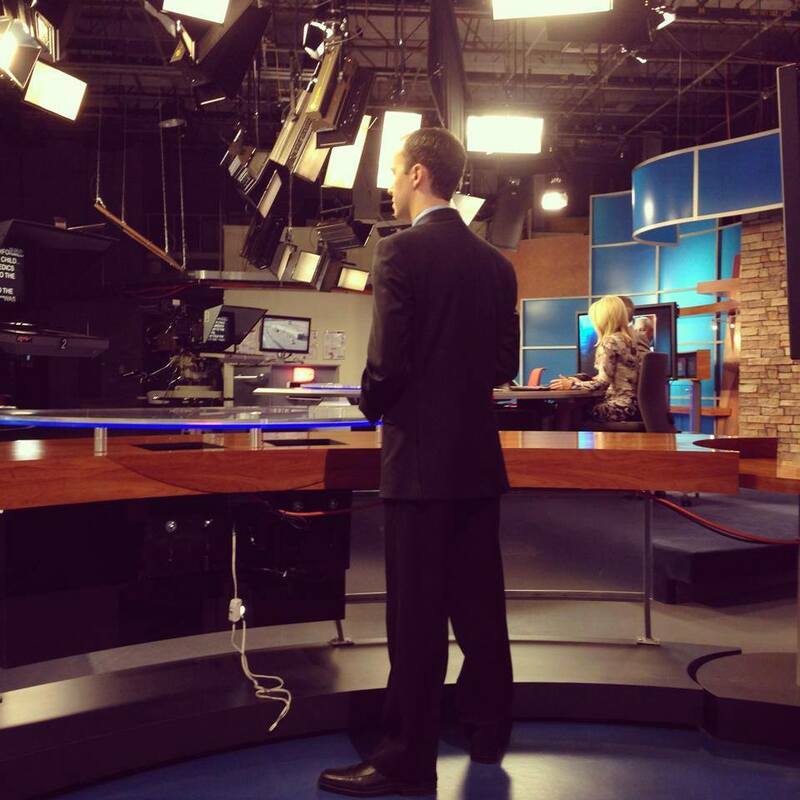 Click here to see their complete spring climate recap. Mother Nature must be a football fan. For the most part, weather hasn’t interfered with the NFL’s biggest stage. While the vast majority of games feature atmospheric perfection, some Super Bowls haven’t been as lucky. Below is a brief history in Super Bowl weather, made possible by William Schimtz’s terrific climate report. Super Bowl VII and Super Bowl XXXVII featured warm temperature in Los Angeles and San Diego, respectively. Perhaps the heat got to Miami Dolphins kicker Garo Yepremian in Super Bowl VII. His botched pass nearly derailed the only perfect season in NFL history. 30 years later, the warmth wilted the Oakland Raiders offense. Tampa Bay rolled to an easy victory at Qualcomm Stadium, highlighted by a pair of Dexter Jackson’s pick sixes. Before the SuperDome, New Orleans hosted three Super Bowls at Tulane Stadium. Super Bowl VI between the Miami Dolphins and Dallas Cowboys registered the coldest high temperature for an outdoor venue. Sure, it could have been worse than 43°. But it probably felt more like 3° for the team from Florida. Dallas destroyed the Dolphins 24-3. Super Bowl XLI in Miami may have been impacted the most by weather. The Colts and Bears played in a gullywasher, with sheets of rain coming down during the second half. Peyton Manning accepted the first water-logged Lombardi Trophy in league history. How rare is rain on Super Bowl Sunday? Only 11 times has the closest reporting station to a non-domed stadium recorded rainfall. The odds boil down to a mere 22%. The Rose Bowl in Pasadena, California is notoriously breezy. It resides along Arroyo Seco and is in close proximity to the San Gabriel Mountains. In Super Bowl XIV, the Los Angeles Rams and Pittsburgh Steelers encountered gusty northeast winds that could have impacted the passing game. On this Sunday in 1980, it didn’t. Steelers QB Terry Bradshaw & Rams QB Vince Ferragamo combined for big plays through the air. The game changer was a 73 yard touchdown pass from Bradshaw to John Stallworth in the 4th quarter. Pittsburgh captured its four Super Bowl, beating the hometown Rams 31-19.